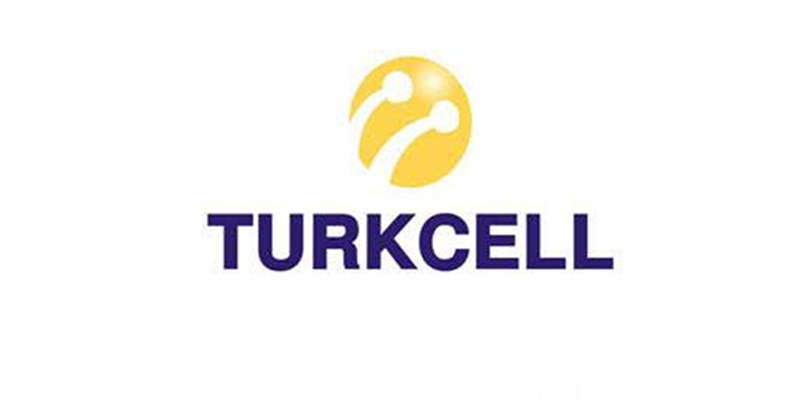 The contribution of Turkcell to economic and social development of our country for the improvement of opportunity in every part of the society by conveying the social responsibility projects that make life easier for the disabled citizens who are under the framework of Turkcell’s sustainability vision under the frame of “Unobtrusive”, is to inform the United Nations, UNDP, OCHA, DESA, OHCHR. 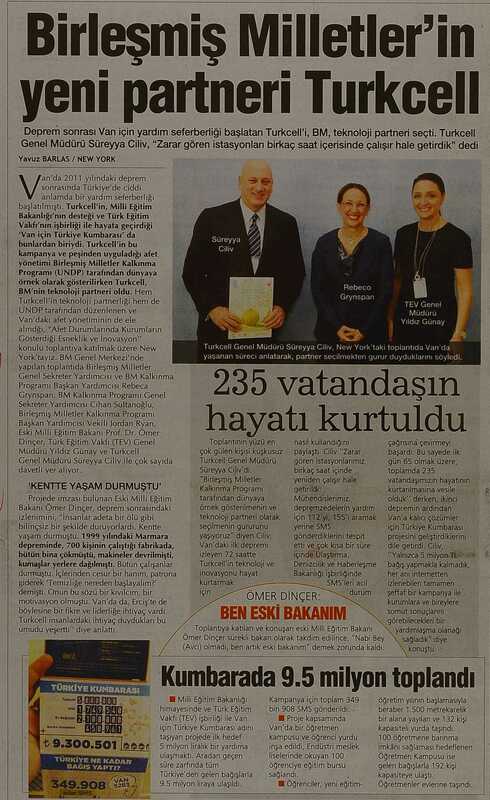 An opportunity was created for Turkcell to introduce the project “Turkey’s Pot for Van”, which was co-operated by the Ministry of National Education, Ministry of Transportation and Turkish Education Foundation, under the auspices of the United Nations. 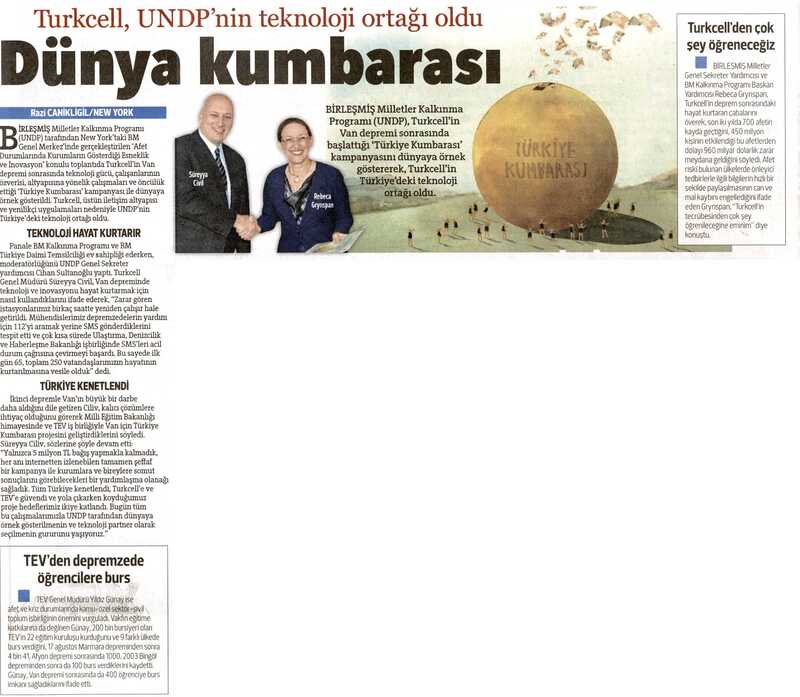 Turkcell’s project was exemplified in the developing world by the United Nations Development Program and it was the first and only project by UNDP to receive “recognition” from Turkey. 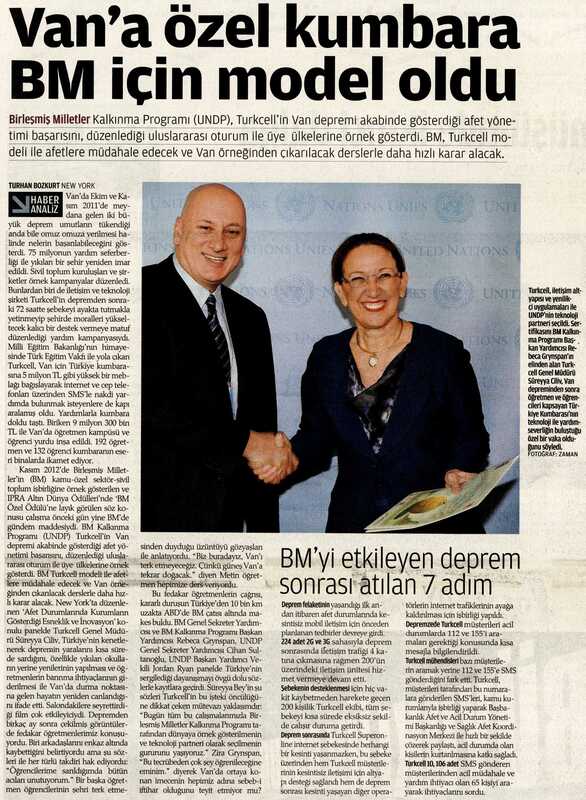 Turkcell has become the technology partner of the United Nations in the world. Information Technologies Platform: Within the scope of strategic communication plan of Information Technologies Platform, corporate reputation management, media communication management, creative contents, leading communication, crisis management, measurement reporting and media trainings are being carried out. 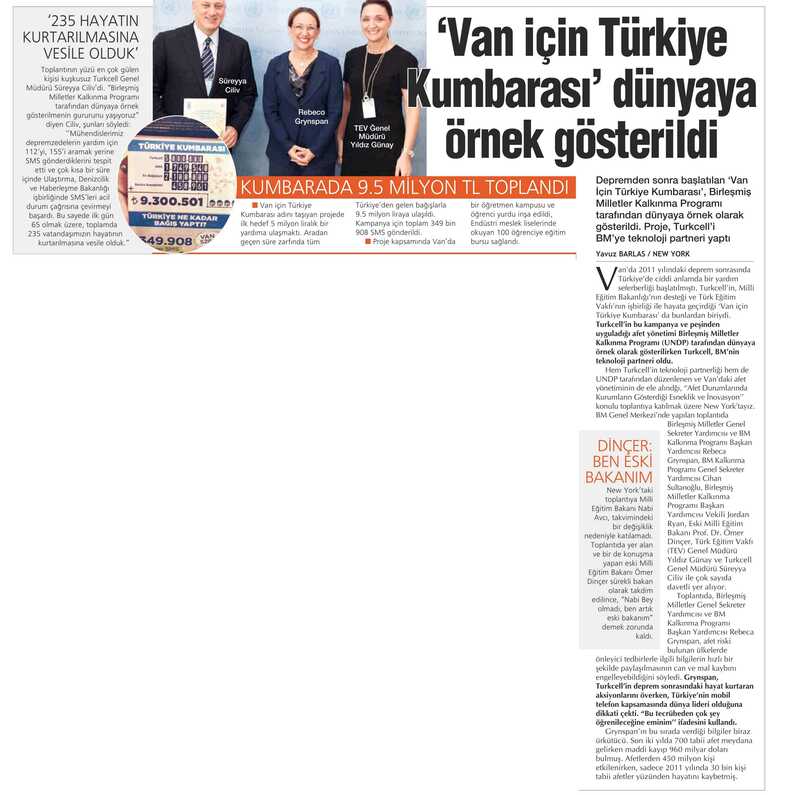 Technology Information Platform has been established with the aim of establishing an information sharing platform by bringing the developments and researches in this area to the agenda of Turkey in a timely manner. A topic management strategy was established and implemented to ensure that base stations do not adversely affect the health of the public and that the Internet is reliable and that it is communicated to the public directors and to all stakeholders.